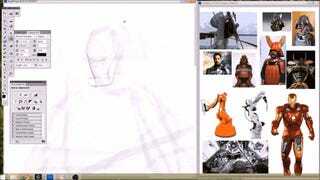 Artist Jack Lee uploaded a time lapse video, showing him working on an Iron Man sketched that’s inspired by Japanese samurai armor. What makes the clip so fascinating is that it also includes what Lee used as reference materials, giving a good insight into his creative process. Below, you can check out the video (via Game Over).